One of the Toronto music scene’s enduring treasures, Lynn Harrison writes songs that speak to the heart and inspire audiences of all ages. Creator and host of “The Bridge” themed open stage. Winner, Songs from the Heart Contest 2008 (Political category, “Bicycle Bell”). New CD coming in 2018, produced by fellow WF artist Noah Zacharin. One of the Toronto music scene’s enduring treasures and a passionate soul committed to finding a higher path, Lynn Harrison connects with audiences of all ages through songs that are both deeply insightful and delightfully catchy. 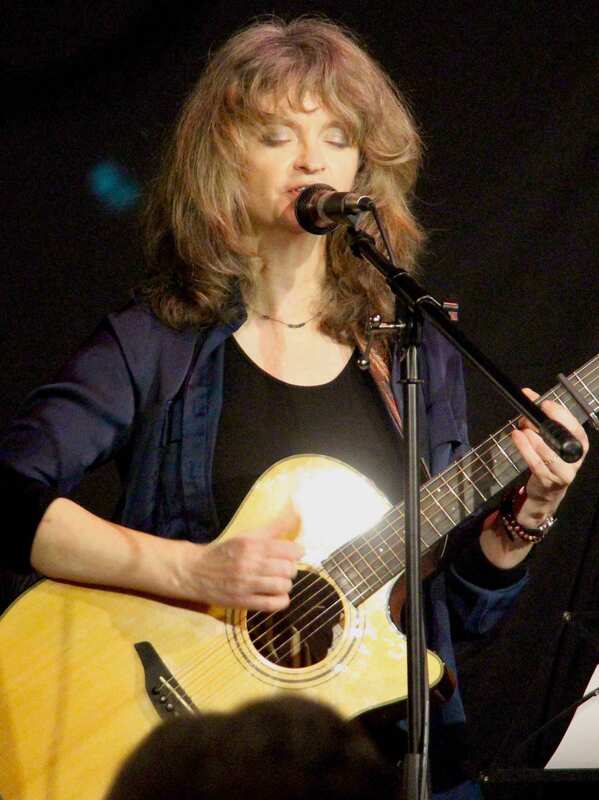 Lynn is an award-winning songwriter (OCFF, Unisong and others) with five CDs to her credit (currently working on a new recording produced by fellow Winterfolk artist Noah Zacharin), and the creator and host of “The Bridge” a unique spiritual open stage. “Lynn sings of our happinesses and our sufferings with moral purpose, simplicity and courage” (Jon Brooks).